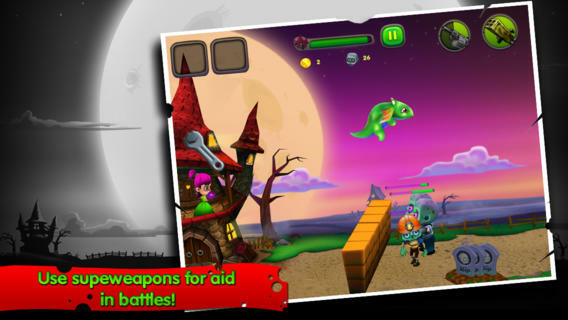 Zombie Defense: Smash and Crash is an iPhone game developed byMatch 3 Studio. 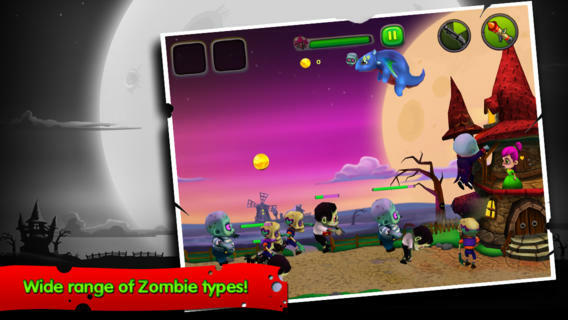 If you’re a zombie fan who needs a new game, then this is definitely a contender! 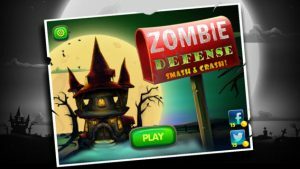 In Zombie Defense: Smash and Crash, you need to flick away the zombies who are trying to invade your castle.The controls are very simple: just place your finger on top of the offending zom and flick him away from the castle. It couldn’t be any easier than that, really! When the zombies hit the ground, it wounds them. Some enemies will take multiple hits before they die for good, so you’ll need to have fleet fingers to beat this fast-paced game. There is just something so satisfying about smashing those zombies! My biggest complaint about this game is the lack of levels. At the time of this review, there were just 36 levels available. That’s not a terrible amount of levels for a fairly new game, but it doesn’t take very long to play through all of the available content. 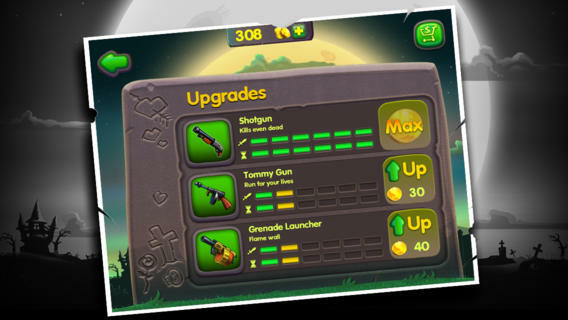 The somewhat limited number of levels is offset by other perks, however. There are over 20 achievements to complete, plus multiple upgradeable pets and weapons. Plus, there are more levels coming soon, according to the App Store page. There is some great variety in terms of the number of unique enemies you must face. Each enemy type has different abilities, and cool designs. In short, this casual game is bound to appeal to anyone who likes zombies, casual time wasters, or games with colorful graphics. There are tons of pets and weapons that make this game really exciting. 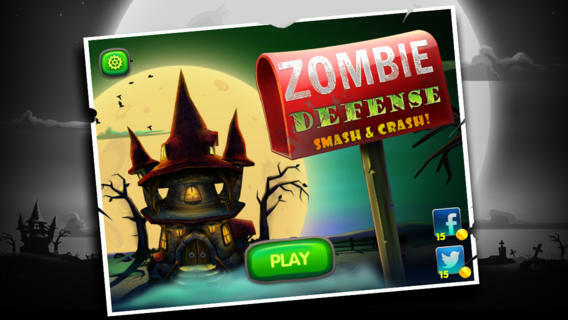 Overall, Zombie Defense: Smash and Crash comes highly recommended. Zombie Defense: Smash and Crashrequires iOS 4.0 or later. Compatible with iPhone 3GS, iPhone 4, iPhone 4S, iPhone 5, iPhone 5c, iPhone 5s, iPad, iPod touch (3rd generation), iPod touch (4th generation), and iPod touch (5th generation). This app is optimized for iPhone 5.